The combination of lightweight chassis engineering and a compact but powerful engine take the KTM 1090 ADVENTURE R to the top of its class in terms of power-to-weight ratio and ride dynamics. 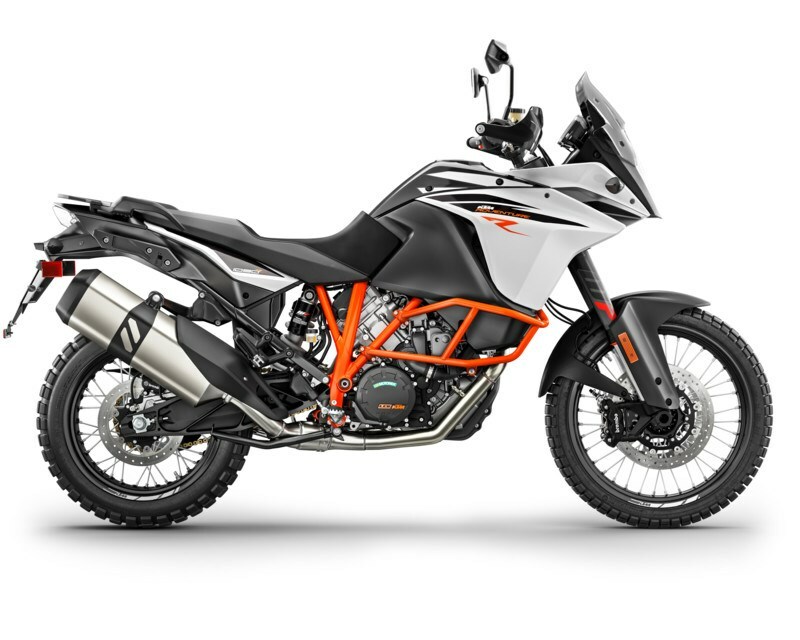 Its weight of only 230 kg, while carrying a substantial 23 liters of fuel, makes the KTM 1090 ADVENTURE R – in typical KTM style – one of the lightest motorcycles in its segment. Add an outstanding geometry, well-balanced stiffness distribution and high quality suspension components and you end up with a bike that can handle almost anything. This also boosts safety, since it is far easier to fling a lightweight, nimble motorcycle around a source of danger than a heavy one. The chrome-molybdenum steel trellis frame makes a major contribution to the bike’s excellent chassis geometry. It’s a rugged, laser-cut, robot-welded thing of beauty with a glorious surface finish. And at only 9.8 kg, it helps to keep the total, unfueled weight under 210 kg. 207, to be precise. Every kg counts. Precise. Powerful. Stunning. Just as you would expect from a set of Brembo brakes. Up front you’ll find twin 320 mm discs, radially mounted, 4-piston fixed calipers and a radial master cylinder. At the rear, excess speed is taken care of by a generously dimensioned 267 mm disc. And in case of an emergency, Bosch’s two-channel 9M+ ABS is there to save the day.